You don’t need expensive over-the-counter medications; just buy Elixinol CBD Tincture Respira in Grape Mint Flavor and experience the refreshing grape flavor that will not only refresh you but put various pains in your body to rest. • It is vegetable glycerin-based and contains CBD. • The vegetable glycerin is kosher-grade. • Contains a full-spectrum of cannabinoids. This Respira CBD Tincture in Grape Mint Flavor contains the most advanced formula of any CBD supplement on the market. This company had in mind the welfare of their customers, which is why they designed this product to address various conditions, and made it very easy to use. This dietary supplement contains a full-spectrum of various cannabinoids, which makes it great for use as a food supplement. • Anxiety: Sometimes, because of the uncertainty of life, you may get worried to an extent that you simply can’t put your hands to work. You just have to overcome worries by taking this sweet Respira CBD Tincture in a tasty Grape Mint Flavor. • Stress: You can now reduce stress levels and be able to address your problems effectively without much disturbance and thoughts. Stress blocks your mind from thinking clearly, but now you can say goodbye to stress by taking this CBD Tincture. • Headaches: This is a common condition for many due to a variety of factors, but some people experience more acute headaches due to stress and overthinking their problems. Whatever the cause of your headache, you just need Elixinol CBD to get rid of the pain. • Back pains: Many people now suffer from back pains nowadays. What could be the problem? Is it the kind of food, work or exercises we take or do? Don’t worry about the cause anymore, because CBD Tincture Respira Grape Mint Flavor from Elixinol is there to take away the back pains. • Depression: When the level of stress becomes high, the result is depression. Even if it has got to such levels, this product can still address the issue effectively. Quality: The quality of the products produced by Elixinol CBD come right from the raw material; the hemp plant. The hemp oil is from non-GMO plants and its extracts are obtained through the supercritical CO2 extraction method which ensures the product is of good quality and free from every impurity. Furthermore, they are non-psychoactive, hence no hallucinations. Effect: The full-spectrum CBD tincture extract which is infused with useful cannabinoids in this product have proven to deal with pains, depression, stress, and inflammations. You can take it orally as a supplement, or just vape it. Price: For only $39.99, you can get 300 mg CBD oil in a 15 ml tincture, and for only $74.99 you can have 600 mg CBD oil in a 30 ml tincture. 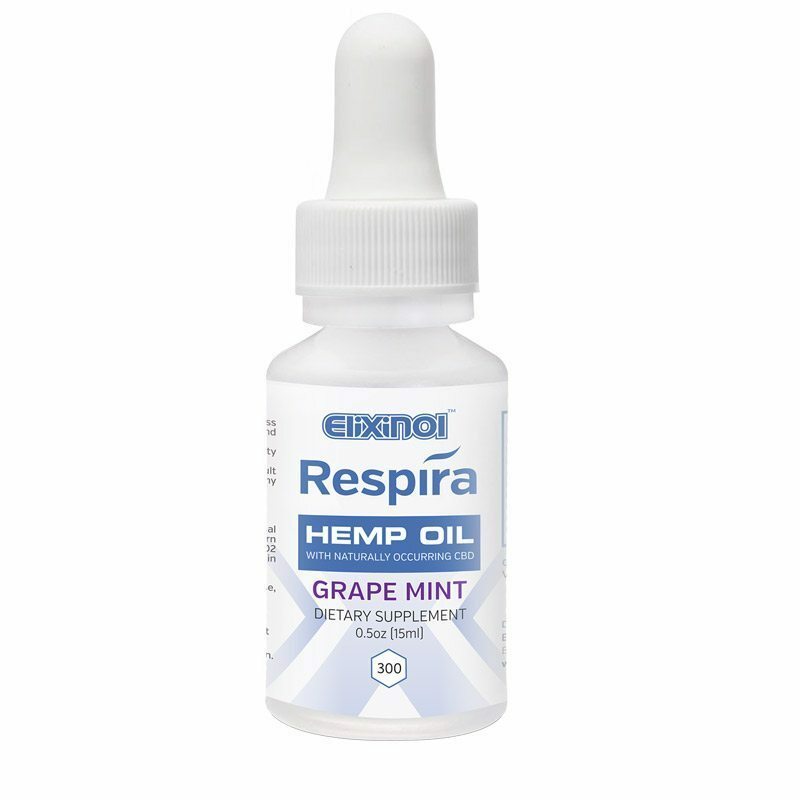 You can visit Elixinol’s official website to buy CBD Tincture Respira in Grape Mint flavor online. Final Thoughts: Just grab CBD Tincture Respira in Grape Mint Flavor and say goodbye to pains and stress. Very effective in dealing with various medical conditions. It is very versatile and multi-purpose. It comes with a great grape mint flavor. It’s not suitable for children under the age of 18 years. It should not be taken by breastfeeding mothers.